The name does not evoke any images and we get there without any serious expectations. Tashan, in the Greater Kailash 2, M Block market, is above all else, unpretentious. The space is small, the walls bereft of too much art, the tables no-fuss and tidy. The food though is memorable and it is one of those restaurants that have a lot of heart in them. The meal begins with an amuse bouche that sets the tone for the rest of the evening. I have had a few bad experiences with so-called wasabi prawns and am reluctant to waste stomach space here on the dish but Akshay Adya, the owner of the restaurant, convinces me I won't be disappointed. And I am not. I find myself licking the wasabi-laced raita off the plate, the plump prawns primed to invoke a crunch. 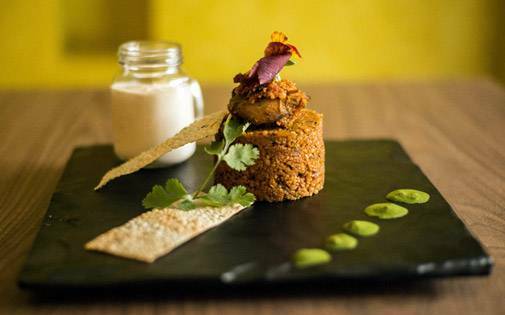 The stuffed tangri is an interesting take on the humble chicken leg as it combines traditional Indian flavours with international ingredients to create a delightful medley. Stuffed with cous cous and goat cheese, this is a meal in itself and quite delicious (ask for extra cheese as the flavour can get quite lost in the swirl of cous cous). The kadak seekh kebab which is a mozzarella stuffed lamb mince kebab, served with mushroom puree gives the regular seekh a makeover. 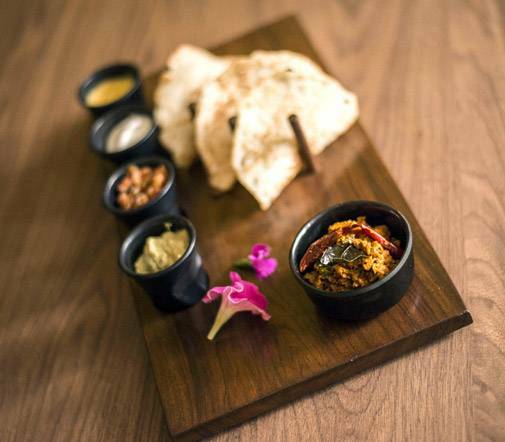 The tandoori bataer or quail is simple and succulent and a must try if you fancy the bird. 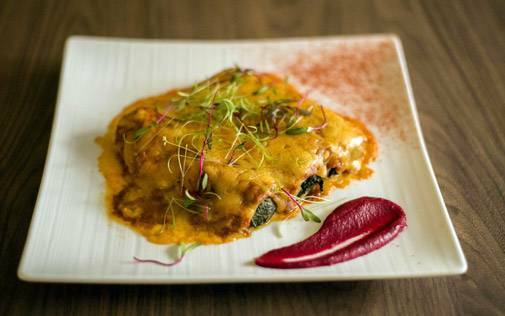 On the vegetarian front, the palak and goat cheese cannelloni in a makhani sauce is inventive in theory but a tad too heavy and fails to impress. There are several other options for vegetarians across the menu, most of which look quite interesting. For mains, the gol boti ragout which is essential. Bhuna mutton in spicy onion tomato gravy is rich in flavour, texture and colour and coupled with one of the dals on offer, completes the Tashan experience. The staff is courteous, well-trained and the presence of the owner, who is clearly passionate about what he does, elevates the experience from good to terrific. Round off your wonderful meal with the bhuni roti ka halwa which I am told is exceptional. 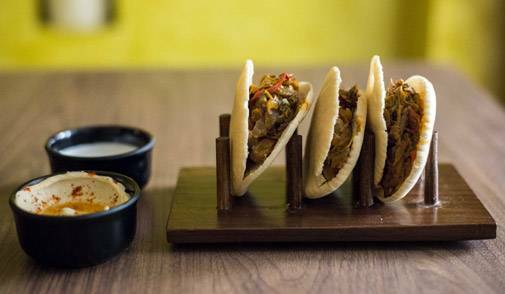 Well priced and sans the frills and frivolities one associates with good Delhi restaurants, Tashan will go a long way if its food remains consistent.